During study of the scriptures for his previous book, Alpha and Omega, it became apparent to the author that when the Lord talked to the disciples about His coming for Israel, He also intimated that there is likely to be a period of delay between the signs of His expected coming, and His actual appearance for them as their Messiah. In the light of this the author decided to follow through and find out what this period may involve, and his conclusions are set out in this book. Whilst Israel, the Lord’s people, remain special to Him, even more important is that His Word and promises will be kept, and that His Father’s will is completed in its perfection. 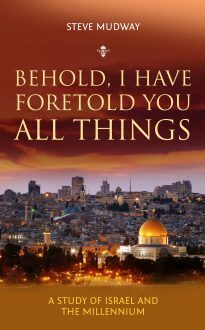 This book is an attempt to interpret how Israel will be expected to play its part, and how in the process it will be proved faithful before the Lords return.